Happy 2015, Divas! It’s hard to believe that were almost through the first month of the new year. The holiday whirlwind has come to a close and it’s time to relax and kick back, right? (Yeah, ok!) Right after the new year, my husband and I took our honeymoon. It was great traveling after the holiday rush, but new laws and regulations have been passed when it comes to what you can take on a plane, especially cosmetic and personal care items. 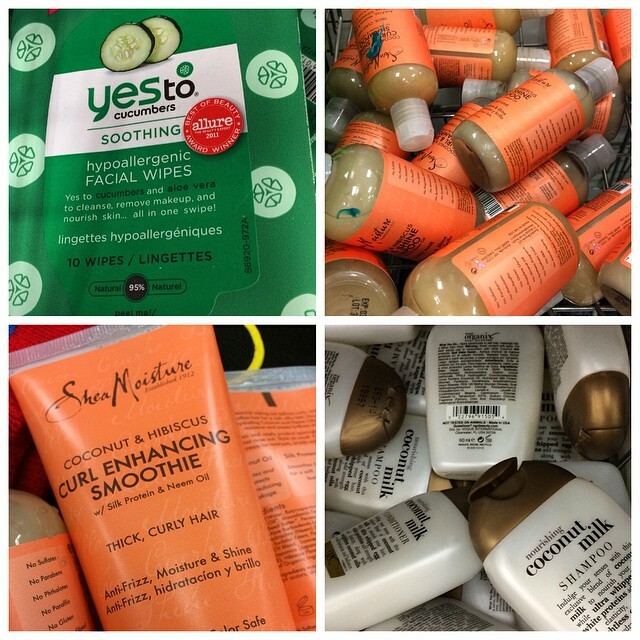 That 3-1-1 rule (3 oz, in a 1 quart container, 1 bag per passenger) can get pretty challenging if you’re looking for cruelty free necessities. Talk about stress! Well, regardless of when you’re traveling here’s a list of some amazing cruelty free products that follow the travel rule without you having to worry about animals, ingredients, or TSA regulations! I am devoted to Shea Moisture for a couple of great reasons, but their Curl Enhancing shampoos and conditioners are my favorite reason. I have thick curly hair and my hair usually goes into a depression when I travel. The airplane ventilation, the different climates, and the strange hotel toiletries wreaked havoc on my locks. Since going animal-friendly, I was forced to check my toiletries which was a pain if I wanted to travel light. These shampoos and conditioners have a delightfully tropical scent and a little goes a long way! They are also a lady-driven company and proceeds benefit women’s charities around the globe. Animals and people rejoice! My second must-have for travel are my Yes to Carrots Cucumber products. I love the makeup wipes (so I don’t have to lug my whole skincare line with me to where I’m going), and I like the calming effect of the cucumber. For our honeymoon, we went to Disney and even in January is was HOT! So, my cucumber wipes soothed a sunburned bride and groom without laying on unnecessary chemicals. Their wipes take off mascara and eyeliner (waterproof to boot) without pulling or tugging. The scent is light and airy, too. Last but not least…for the non-curly folks, the travel sizes of OGX’s Coconut Milk line follow TSA guidelines and are cruelty free (but not vegan…egg whites are part of the ingredient list!) I’ve used this line when my Shea Moisture weighs down my locks or I just want a change. These travel sizes come in shampoo, conditioner, and a spray that shines and strengthens the hair shaft. Don’t let travel get you down; there are great travel size cruelty free items in many drugstores and department stories. Where are you jet-setting to next? The products featured in this blog post were purchased by the author and she has not been compensated in any way, shape or form. The above is solely the author’s opinion and all opinions are honest and truthful based on the author’s experience.